James Van Der Beek appeared in a new “Funny or Die” video Thursday that mocks the Indiana Religious Freedom Restoration Act. The controversial law, which has been amended since its original passage, originally allowed business owners to refuse service on the grounds of religious freedom. Many felt the law was tantamount to discrimination against the LGBT community. 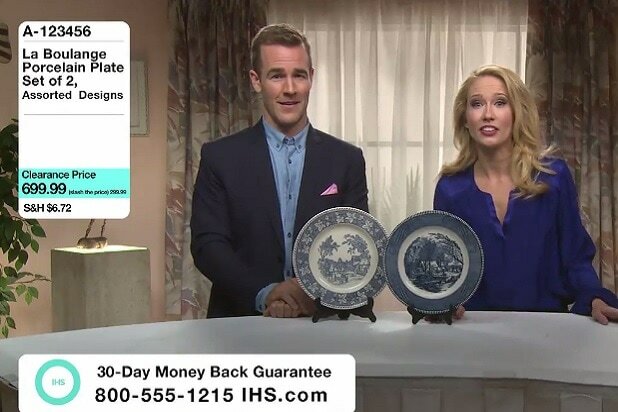 In the video, Van Der Beek plays the host of the Indiana Home Shopping Network. He and his co-host are trying to sell products at low, low prices; however, they keep having to turn callers away when they reveal they are buying the items for their gay partners.